Vancouver is a truly unique city with a wealth of attractions to experience. 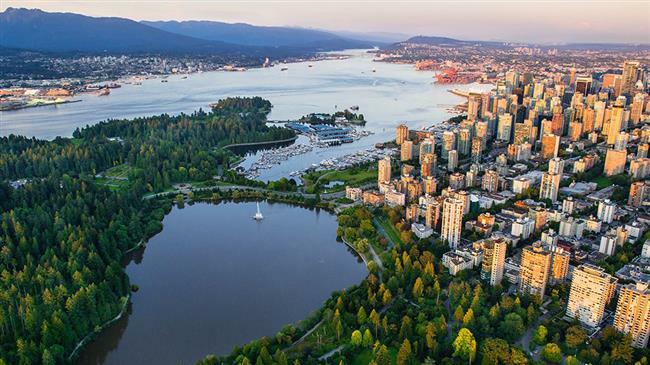 Vancouver is bordered by the ocean on the west, a river to the south and majestic mountains to the north. In what other city in the world can you go skiing, sailing and golfing all on the same day? With so much to offer, there’s something to see and do for every sightseer. 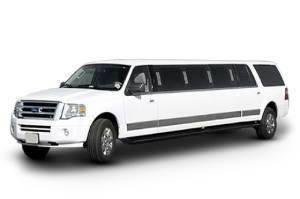 There’s no better way to experience the sites and sounds in the city of Vancouver BC than in the comfort, style and service of a limousine. Sightseeing is best when you don’t have to worry about watching traffic or finding suitable parking. 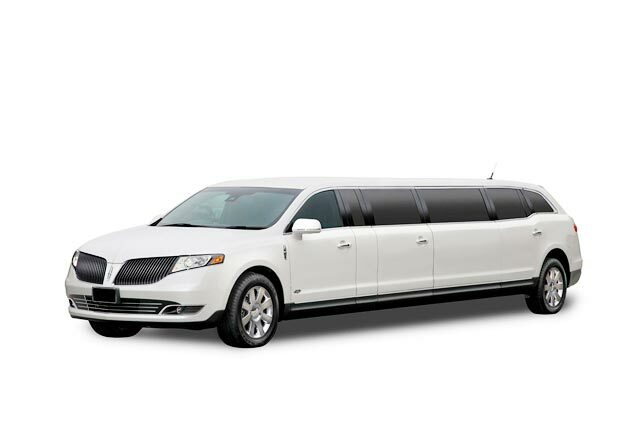 Tour the city in style while we take care of getting you where you want to go. We’ll plan the best route to take to maximize your time while you concentrate on enjoying yourself, snapping photos and soaking up the views. Click on the destinations below for more information about each location. The Millenium Gate marks the gate into Vancouver’s historic Chinatown, establisehd in the early 1900s by Chinese immigrants from California and China who came to work on the railroads and gold mines. Chinatown is still an active community with a variety of traditional Chinese restaurants and shops. Founded by saloon owner “Gassy” Jack Deighton in the 1860s, before there even was a Vancouver, Gastown is the city’s original neighborhood. Here, you’ll find a cultural and historic part of Vancouver with one of the city’s top spot for a lively nightlife and Vancouver’s world-famous steam-powered clock. Stanley Park’s 1000 acre rainforest sits just north of downtown Vancouver. Enjoy 27km of forest trails, scenic vistas and the 9km long seawall, a popular bike trail beside the water. Stop for quick photos at the Totem Poles and Prospect Point. 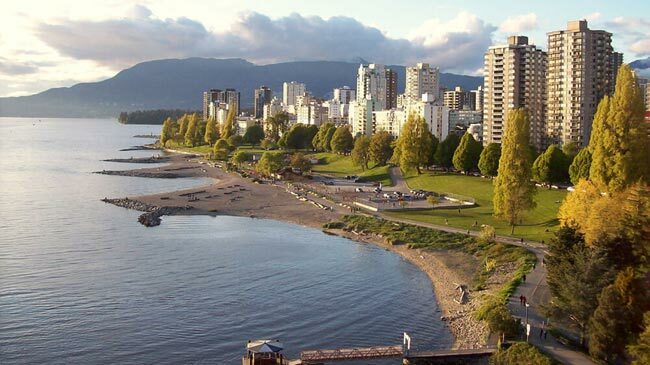 Also known as “First Beach”, English Bay is the most popular beach in Vancouver’s downtown area. It’s a lovely place especially at sunset. Vancouver’s annual Polar Bear Swim happens at English Bay every January as well as the annual Celebration of Lights fireworks show which takes place in the summer. At Granville Island, you’ll find a bustling community of local artists, specialty shops and amazing cuisine. Popular activities here include watching live performances in one of the theatres, browsing the Granville Island Public Market, taking a water tour on the AquaBus and discovering exquisite handmade items made by local artists. Stroll around the promenade and enjoy some Canadian music or other entertainment all year round. You’ll find a wide selection of shops and attractions, such as the Vancouver’s newest attraction, FlyOver Canada. Canada Place is also one of the city’s main cruise ship terminals. 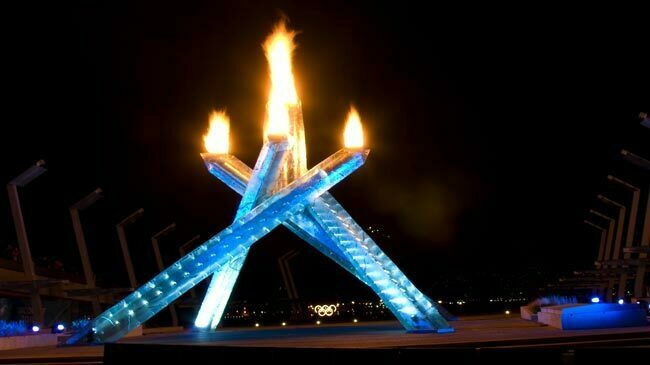 The Olympic Cauldron was built when Vancouver hosted the 2010 Winter Games. It stands at 32.8ft tall (10 m) and it set against a magnificent mountain/harbor backdrop, located in the Jack Poole Plaza next to the Vancouver Convention Centre. 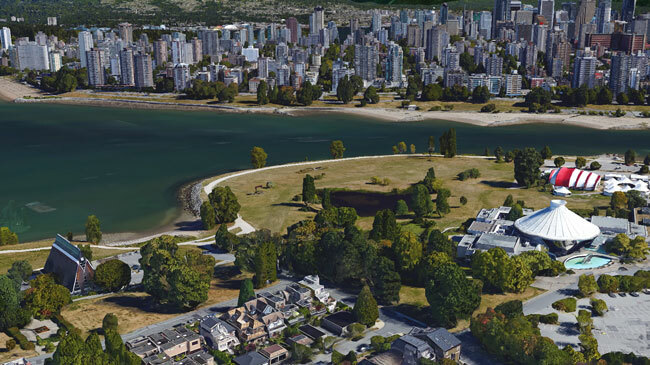 It’s one of largest and most impressive urban parks in the world, right in the heart of Vancouver. You’ll see panoramic views of the mountains and ocean, and the famous Lions Gate Bridge, which connects downtown Vancouver to North Vancouver. Nestled inside of the park, you’ll find the Vancouver Aquarium. The Capilano Salmon Hatchery receives over 400,000 visitors every year and offers free admission to all of its guests. See the interpretive centre and self-guided tour while learning about the life cycle of Salmon. Depending on the time year, you may see fish in the aquaria or returning fish in the fish ladder. Capilano Suspension Bridge is Vancouver’s oldest visitor attraction. The bridge spans 450 feet long and suspends visitors 230 feet above the Capilano River. At Tree Tops Adventure, trek through a series of 7 mini suspension bridges through the rainforest from one douglas fir tree to another. The newest addition to the park is Cliffwalk, a series of walkways, bridges and platforms that take visitors on an exciting cliffside adventure through the rainforest. Once a rundown industrial area inhabited by sawmills and factories, this small peninsula located in False Creek opposite downtown Vancouver is now unique bustling community with specialty shops, galleries, a water park, breweries, and even a large public market where you can find a wealth of local produce and handmade arts & crafts. With cobble streets and charming Victorian buildings, Gastown is yet another great place for shopping, eating or just hanging out. Gastown is an upbeat historical village that is home to many art galleries and film schools. For tourists looking for the nightlife scene, Gastown is your place to be. Gastown is where the city began in its early years, receiving its name from the British Sea Captain, “Gassy” Jack Deighton, who opened the area’s first saloon back in 1867. 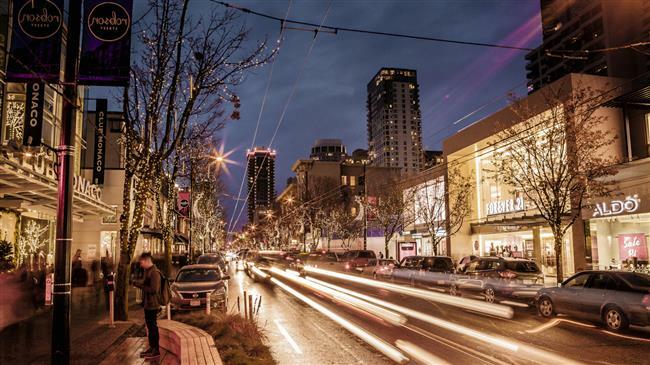 Many consider Robson Street to be a shopper’s Mecca. You’ll find a wide range of world-class designer shops and local boutiques here. Before or after shopping, there is a plethora of fine food choices here as well, from international flavours to fresh local seafood. 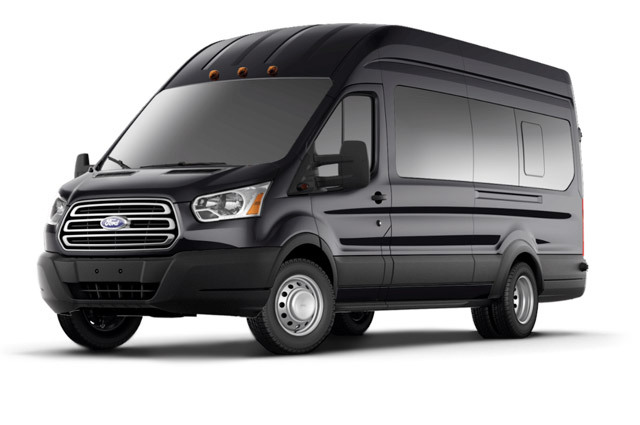 Get a completely customized tour to your liking! Simply let us know what you’re after and we’ll take you to the locations you’ll enjoy the most. Need ideas? 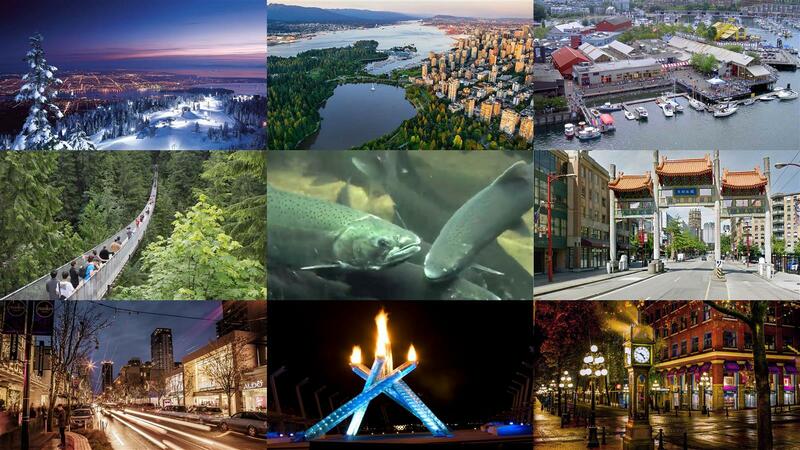 Browse the list below of the best places to visit in Vancouver BC. 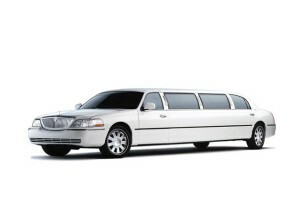 We can either give you a grand city tour, or take you to specific destinations. 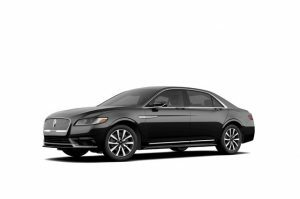 We’ll help plan then drive your choice of route while you concern yourself with taking photographs and soaking up the views. 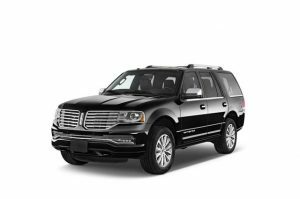 The drivers and staff at KJ Limousine have lived in Vancouver for decades and are well experienced to help you plan a special sightseeing tour of the city with attractions that match your interests. This attraction draws about one million visitors every year and was originally built in 1889, making it the oldest attraction in Vancouver. The bridge spans 450 feet across and is suspended 230 feet in the air. At Tree Tops Adventure, trek through a series of 7 mini suspension bridges through the rainforest from one douglas fir tree to another. The newest addition to the park is Cliffwalk, a series of walkways, bridges and platforms that take visitors on an exciting cliffside adventure through the rainforest. 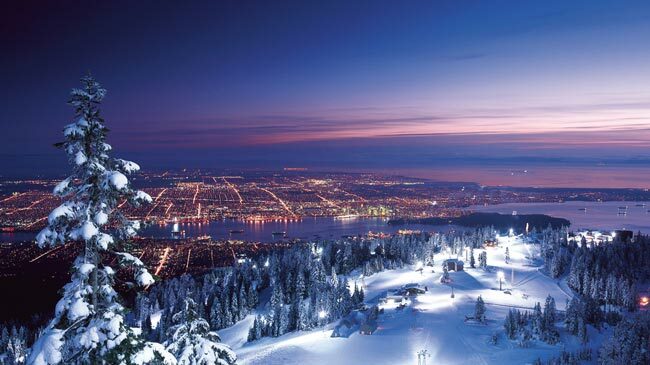 Grouse Mountain rises 4100 ft (1,250m) above Vancouver and is just 15 minutes from the downtown core. There are a variety of things to do at all times of the year. In the summer, you can go ziplining, visit the wildlife refuge, watc a film at the Theatre In the Sky or catch jaw-dropping views in the Eye of the Wind (a large wind turbine with the world’s first elevator accessing a viewPOD observation area). In the Winter there’s skiing and snowboarding, showshoeing, ice skating, sleigh rides and more. English Bay is the most popular beach in Vancouver’s downtown area and also goes by the name “First Beach”. Every January 1st, English Bay is where Vancouver has its annual Polar Bear Swim where hundreds of Vancouverites take a dip in the freezing water. In the summer time every year, thousands of people gather at English Bay to enjoy the Celebration of Light fireworks festival. Originally built for Expo 86’s world’s fair as the Canadian pavilion, Canada Place known for its views, central location, history and architecture. Stroll around the promenade and enjoy some Canadian music or other entertainment all year round. You’ll find a wide selection of shops and attractions, such as the Vancouver’s newest attraction, Fly-Over Canada. 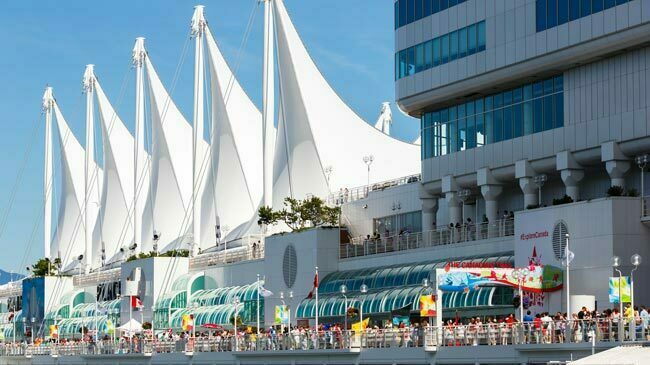 Canada Place, designed to resemble a giant sailing ship, is also one of the city’s main cruise ship terminals. Currently located at Canada Place, FlyOver Canada is an immersive ride that utilizes state-of-the-art technology to give you the feeling of flying. You sit elevated in front of a 20-metre spherical screen while you watch an amazing 8-minute film that takes you on a breathtaking journey from east to west across Canada. 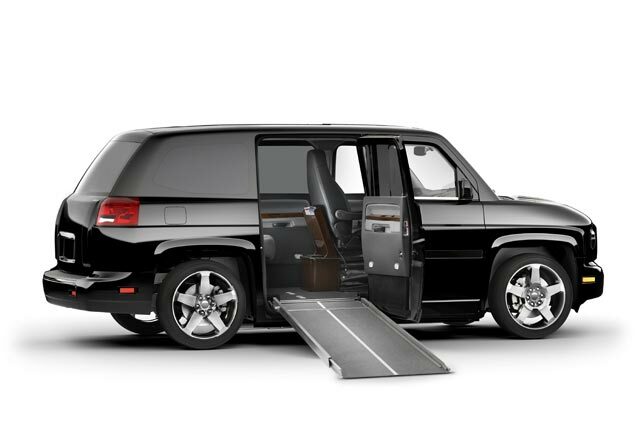 The ride’s moving seats combined with special effects, including wind, mist and scents, create an experience you won’t forget. 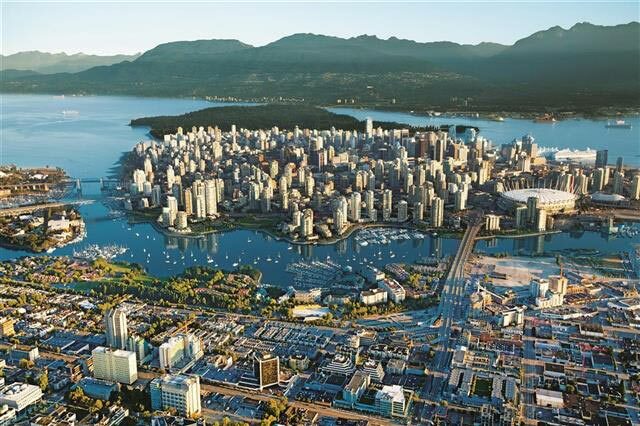 Experience the city of Vancouver from the air in one of Habour Air’s seaplanes. Loop over the city and get a complete panoramic aerial view of the city, surround beaches and parks. 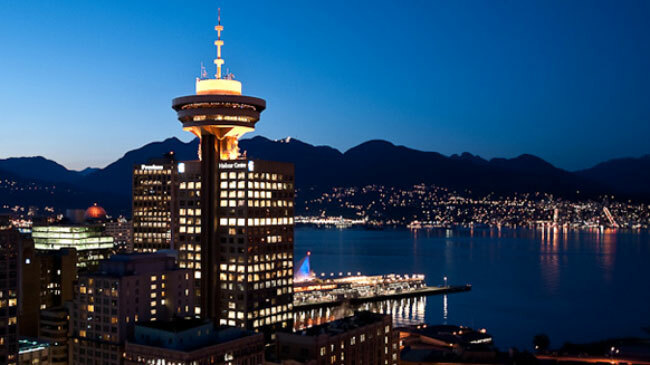 Take a glass elevator up over 450 feet and tour one of Vancouver’s tallest buildings in the central business district of Downtown Vancouver, enjoying some of the best views of the city in its revolving restaurant and observation deck. Built in 1977, Harbour Centre is one of the most recognizable buildings in Vancouver’s skyline. Science World is a favourite family destination and a true Vancouver landmark. Enjoy hundreds of interactive science activities and exhibits throughout the building and watch mesmerizing live science experiment demos in the main atrium. Watch amazing films and documentaries in the 400-seat OMNIMAX theature in the upper section of the geodesic dome, which gives Science World its visually distinct appearance. 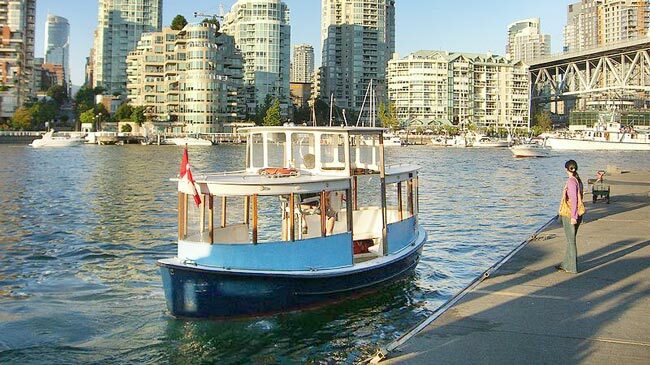 Enjoy a relaxing cruise while seeing the city in charming little ferry boats that offer a fun and convenient way to get to many of Vancouver’s key destinations such as Science World, Yaletown, the Olympic Village, David Lam Park, Vancouver Maritime Museum at Vanier Park and Granville Island. Day passes with unlimited trips are available. Ferries sail every 5 to 15 minutes. Click here for a map of dock locations and nearby landmarks. Here, you’ll find three of Vancouver’s major museums within walking distance: the H.R. MacMillan Space Centre (with a state-of-the-art planetarium), the Vancouver Museum, and the Maritime Museum. At the park itself, you can enjoy excellent views of English Bay, False Creek and downtown Vancouver. Queen Elizabeth Park is a 130-acre municipal park featuring spectacular gardens, ponds, waterfalls and plants. In the middle of the park is Bloedel Conservatory, a family-friendly indoor attraction where you can see 120 exotic birds and over 500 types of tropical plants. Ranked among the top 20 universities in the world, UBC’s Vancouver campus sits at the edge of a peninsula overloking the Strait of Georgia and the Salish Sea. At UBC you will also find the Museum of Anthropology, Nitobe Memorial Garden, the Pacific Museum of the Earth, the Chan Centre for the Performing Arts and other attractions. Lynn Canyon Park is located in the middle of a temperate rainforest and features the Lynn Valley Suspension Bridge which stretches 40 meters (131 feet) over the breathtaking Lynn Canyon Creek. Start at the Ecology Center where visitors can learn about the history and ecosystem of the area through informative and interactive displays. From there, it’s just a 2-minute walk to the suspension bridge, which offers free admission. On the other side of the bridge there are still plenty of things to see and do, including various hiking trails, going for a swim at the 30 ft pool and a rocky beach at the end of the trail that is a perfect area to cool off on a hot summer day. Located 45 minutes drive from Vancouver along the famous Sea to Sky Highway, you can ride the gondola and experience breathtaking views up to Summit Station at the top of the mountain. At 885 metres above the ocean, the view is sure to take your breath away. Dine on local cuisine created by on-site chefs at the Summit Restaurant & Edge Bar, 3000 ft above Howe Sound. Other activities on site include interpretive, easy trails that are stroller and wheelchair-friendly, a 100 metre suspension bridge, hiking trails, backcountry access, free daily tours and more. The Sea to Sky Gondola is open Summer and Winter. Shannon Falls is the third largest waterfall in BC dropping from a tall 335 metres (1105 feet). It is the most popular place for a picnic in the Sea to Sky corridor. At the base of the falls there is a well-maintained boardwalk and a network of trails to explore. There are two viewing platforms to see the waterfall just a short walk from the parking lot. You can also access the famous Stawamus Chief hiking trails from Shannon Falls. Halfway between Vancouver and Whistler, you’ll find the Britannia Mine Museum in Squamish. The mine was originally built in 1904 and hosts lots of activities sprawling with history. Many exhibits show what it was like to be a miner at the time. 18 buildings and historic sites in their original places each played a significant role in the largest copper producing mine of the British Commonwealth in the 1920s and 30s. Climb aboard and ride an underground rain deep into the authentic 1912 tunnel to explore the mine. Whistler is just two hours north of Vancouver. At Whistler, you’ll find a vibrant Village at the base, stellar skiing snowboarding, four championship golf courses, fantastic shopping, restaurants and bars, hiking trails, spas, accommodations for every budget and possibly the best mountain bike park in the world. It has been repeatedly rated the #1 overall best ski resort in North America and has 3 million visitors annually. In 2010, it was the Host Mountain Resort for the 2010 Olympic Winter Games. Vancouver has lots to offer when it comes to shopping world renowned brands at outlet prices. 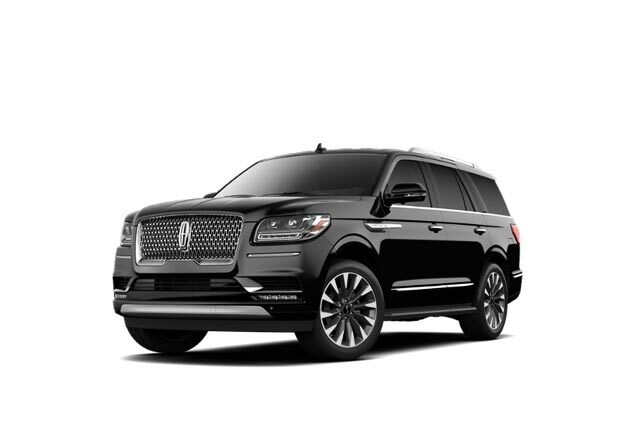 The two main locations to visit are McArthurGlen Designer Outlet near Vancouver Airport and Tsawwassen Mills. 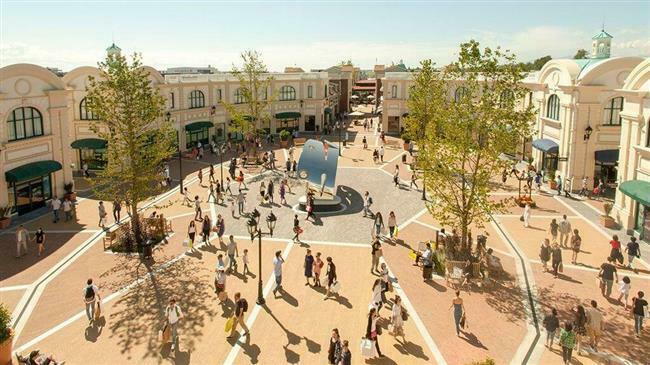 At McArthurGlen, you’ll find an open air European shopping village with tree-lined streets with over 70 leading brands to choose from. At Tsawwassen Mills you’ll find 1.2 million sq ft. of indoor retail space with a mix of top fashion brands, restaurants, factory outlets and a 1100-seat food court. Steveston Village is a historic fishing village where you’ll find fishing boats in the harbor and historic buildings lining the streets. The Gulf of Georgia Cannery was once the heart of Western Canada’s fishing industry. Today, it is a popular museum showcasing the history of the canning and fishing industry on the West Coast. Learn about maritime history at the Britannia Shipyards National Historic Site where many of the area’s wooden fishing boats were once made. Fisherman’s Wharf is lined with a mix of shops, restaurants, cafes and bakeries. 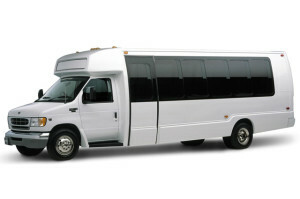 Book a whale watching tour from Steveston here can see sea lions, eagles, orcas or even humpback whales. With over 50 local breweries in the Greater Vancouver area, many of which are centered around downtown Vancouver, there are breweries of all shapes and sizes to explore. Learn how beer is actually made and get behind the scenes tours of local brewery facilities, while tasting lots of freshly made hand-crafted beer. On winery tours, we’ll take you to a selection of local vineyards and wineries throughout the the Fraser Valley to enjoy guided tours and wine tastings. Depart Vancouver and travel through the beautiful Gulf Islands by ferry boat or sea plane and arrive in Victoria on Vancouver Island. In Victoria, you can visit the Royal BC Museum, explore 125 year old castles and heritage buildings or visit the world famous Butchart Gardens, a 55 acre botanical space with impressive themed gardens, landscaping and floral displays.